The United Methodist Minnesota Annual Conference initiated Project AgGrad in response to a 1983 Council of Bishops' letter asking for responsible, targeted programs to meet the increasing demands of world hunger. So far, the program has provided fellowships for six African students to study agriculture at the University of Minnesota. Now they have assumed leadership roles in their homelands, where they teach, mentor, and conduct research. Emmanuel Adeyemo, from Nigeria, is our current Project AgGrad student. He arrived in Minnesota in August, 2016 and completed his Master’s degree in spring of 2018, with a thesis titled “Predicting Genetic Variance from Genomewide Marker Effects Estimated from a Diverse Panel of Maize Inbreds.” He is currently pursuing a Ph.D.; his thesis will focus on implementing genomic selection of certain disease traits in wheat. 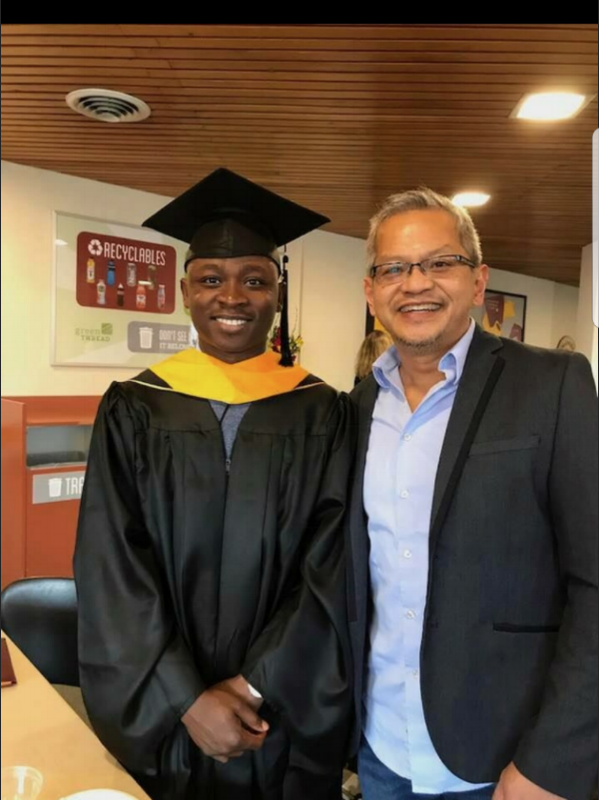 Emmanuel and his research adviser, Dr. Rex Bernardo, at Emmanuel’s graduation ceremony in May, 2018. 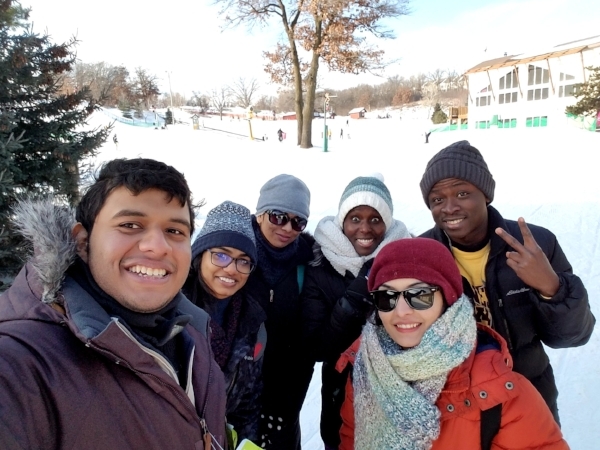 Emmanuel has learned to enjoy Minnesota winters! Here he is with some friends — out on the slopes! Emmanuel (third from left) at the wedding of friends in Nigeria.